Refinery with Tank Tower. 1931. Pencil on cream wove paper. 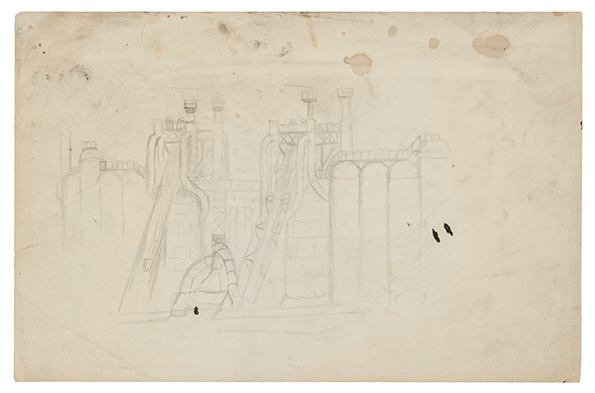 Drawing of storage buildings (possible study for the paintings Turtle Creek Valley [Arkus 138]), verso. 8 3/8" x 12 3/4" (21.3 x 32.4 cm). Study for the painting Monongahela Valley (Arkus 130). Private collection.